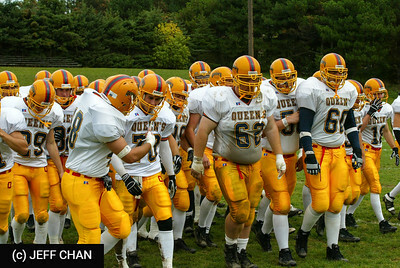 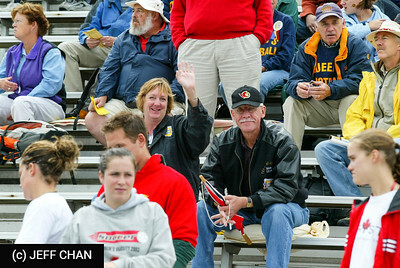 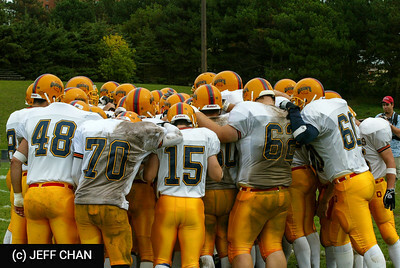 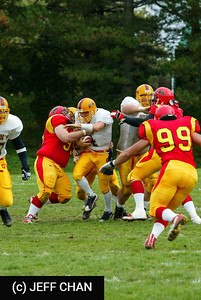 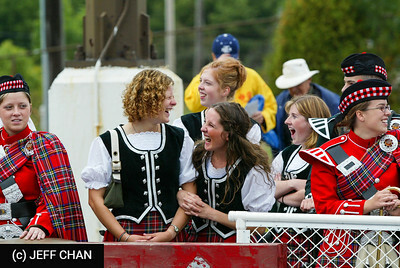 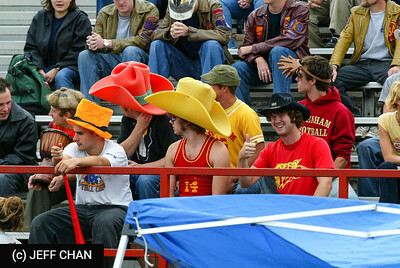 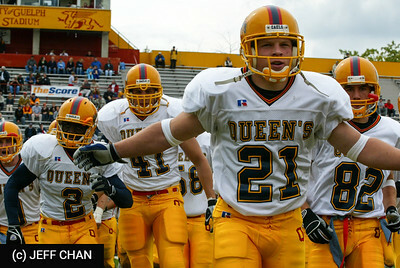 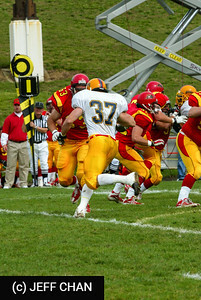 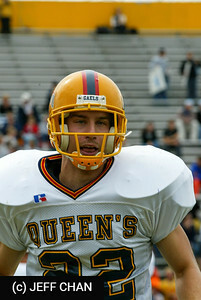 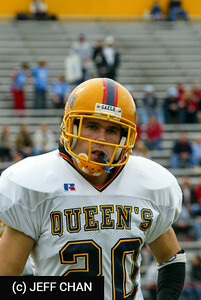 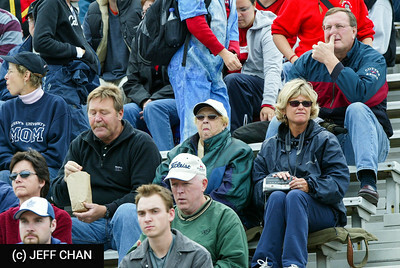 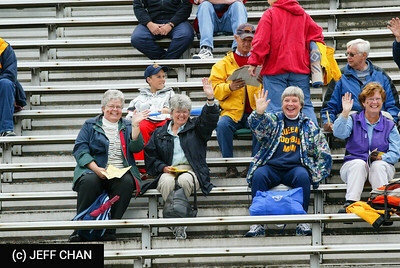 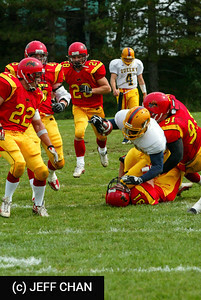 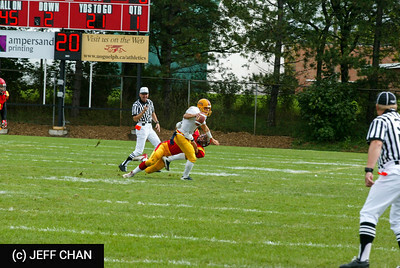 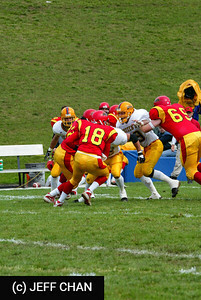 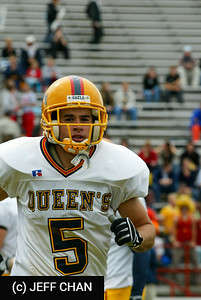 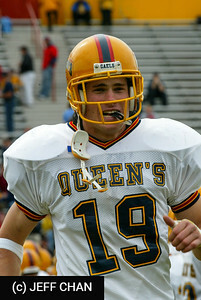 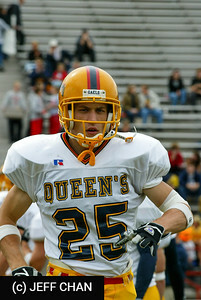 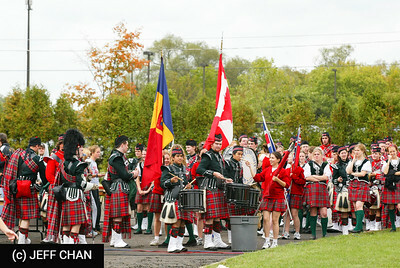 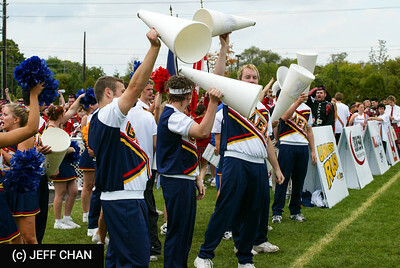 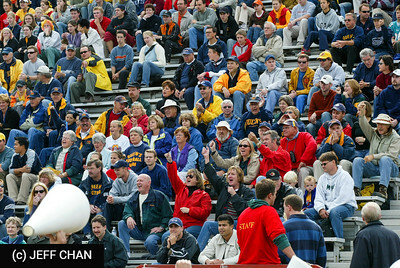 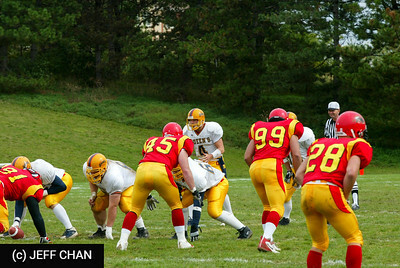 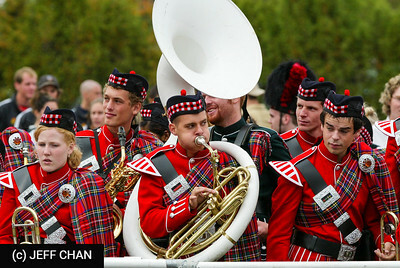 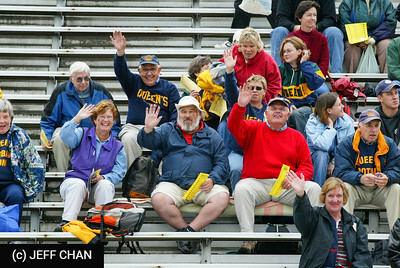 Photos from game 5 vs. the University of Guelph Gryphons at Alumni Stadium in Guelph, Ontario, on September 27, 2003. 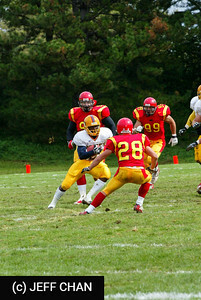 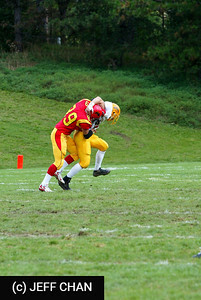 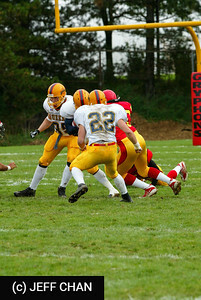 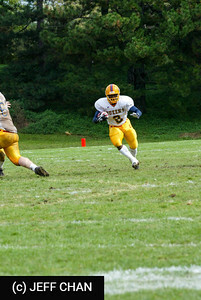 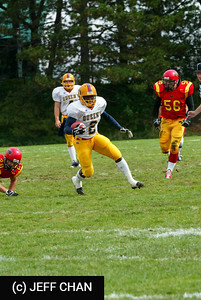 In what turned out to be a pleasant fall day after warnings of a rainy afternoon, the 4-1 Gaels overcame their getting-to-be-a-bad-habit slow start, turned in a great second quarter, and coasted to a 40-19 victory over the Gryphons. 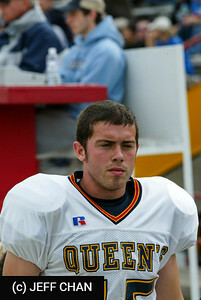 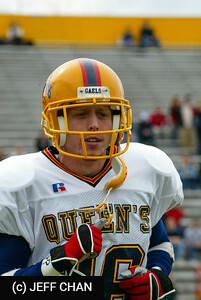 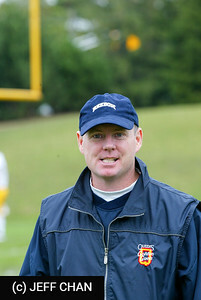 Tom Denison had 467 passing yards and 4 passing touchdowns on the day completing 29 of 45 passes with one interception. 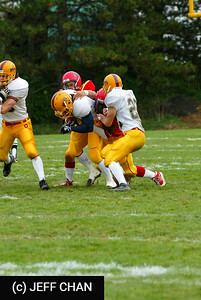 His primary receivers were Craig Spear who had 12 catches for 177 yards and two TD's and Iain Fleming, the recipient of 6 passes for 141 yards and one touchdown. 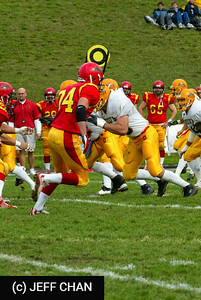 Denison and Ryan Sheahan combined for 505 yards through the air. 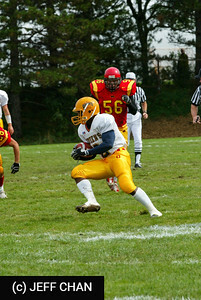 Bryan Crawford had a big day, including a 57-yard run for a touchdown, a 36 yard TD catch and 162 all-purpose yards. 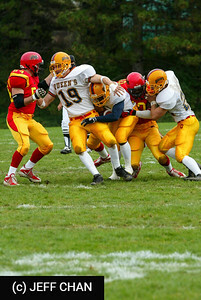 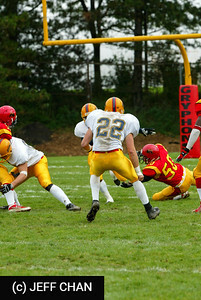 Defensively, the Gaels held the Gryphons to 355 net yards. 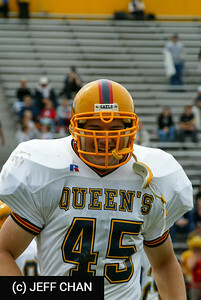 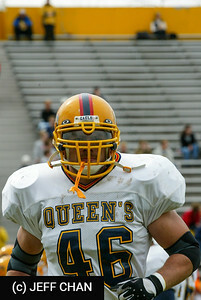 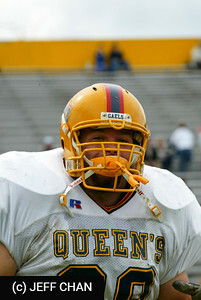 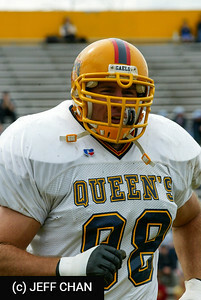 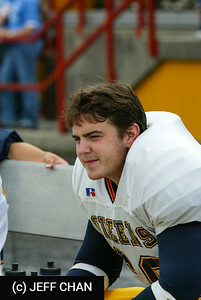 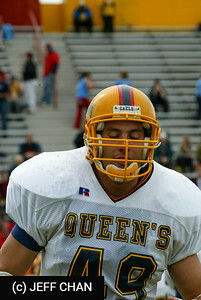 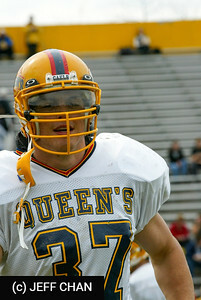 Sacks were recorded by Matt Kirk, Corey Trudeau and Michael Patone (2). 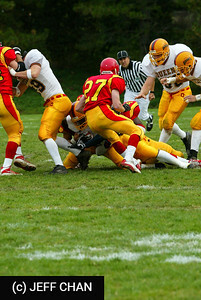 Ryan Bechmanis was particularly busy with 6 solo tackles and 5 assists.